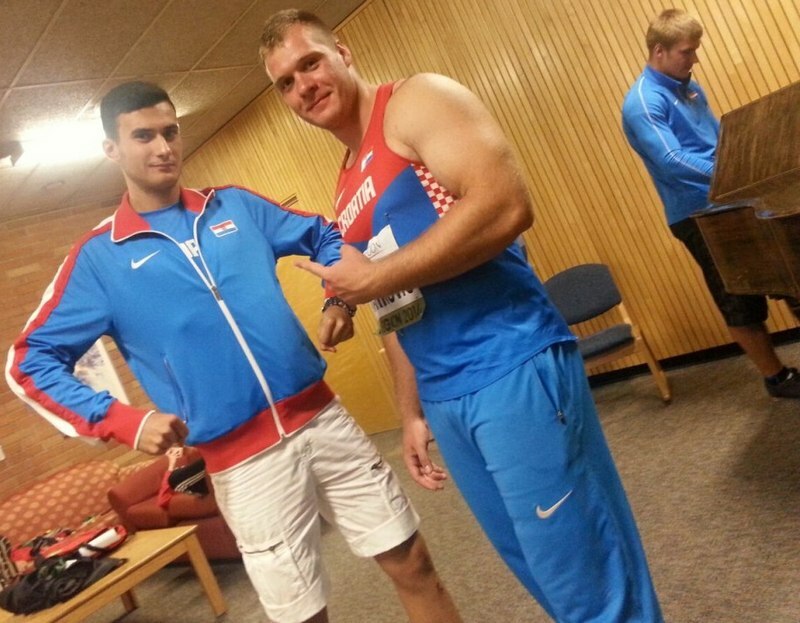 Martin Marković, junior world champion in discus throwing for 2014. Photo by Hiroyuki Nakamura. 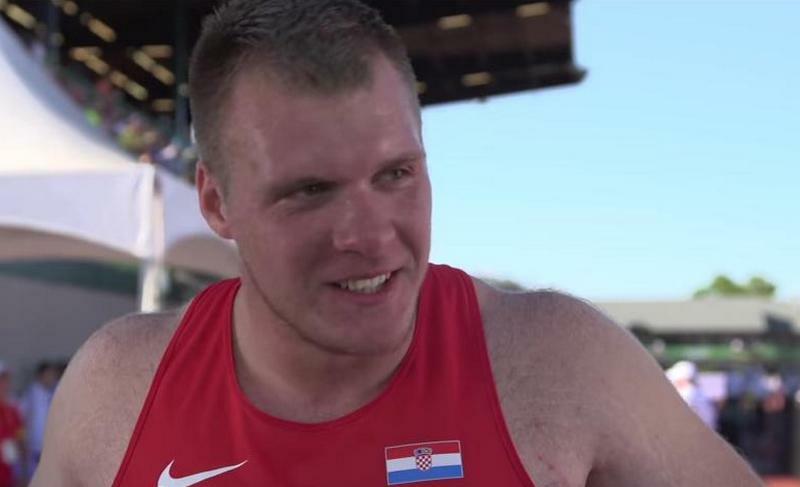 Martin Markovic became the second Croatian male athlete to win a world junior title and the first one in 12 years with a world-junior-leading 66.94m in the discus final at Hayward Field. Markovic took the lead with his opening 64.70m and after one foul unleashed the 1.75kg implement to 66.94m, a national junior record by more than a metre. It also makes him the third-farthest junior thrower ever. It was his first global medal after four appearances in World Youth and World Junior Championships finals. At the 2013 World Youth Championships in Donetsk, he finished fourth in the shot put and ninth in the discus. In Eugene, he finished sixth in the shot put. 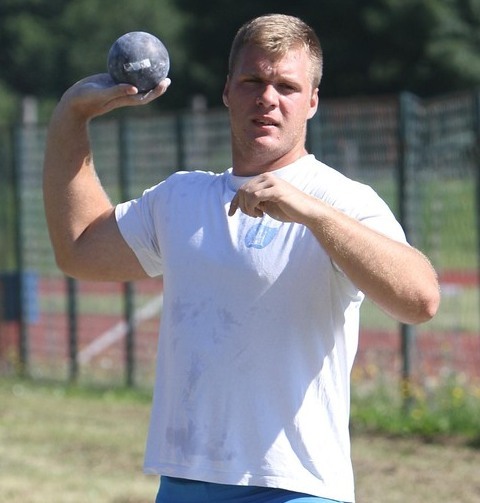 Runner-up in Donetsk last year, German Henning Prufer trailed the Croatian with his opening throw of 62.20m and secured the silver medal with a personal best of 64.18m in the fourth round. 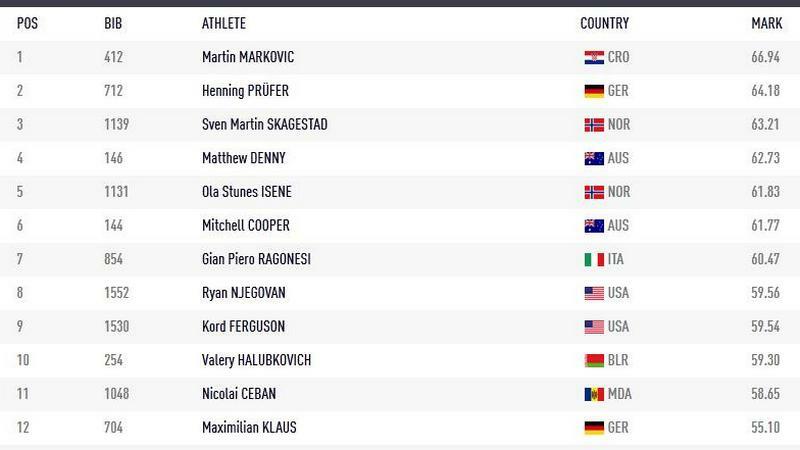 Norway’s world junior leader Sven Martin Skagestad had to settle for third with 63.21m, ahead of Australia’s world youth champion Matt Denny, who finished fourth with 61.65m. Markovic’s gold was Croatia’s second medal in Eugene after Sara Kolak took the silver in the javelin. He joins 2002 shot putter winner Edis Elkasevic as the country’s only two male champions in the history of the championships. Results at 2014 IAAF World Junior Chapionships after the competition in discus throwin. Petog dana SP-a 18-godišnji Marković je pobjednički hitac bacio u trećoj seriji, tako popravio hrvatski rekord za više od metra i postao treći najdalji juniorski bacač diska ikad. Hening Prüfer bacio na daljinu od 64.18 metara. Treće je mjesto zauzeo Norvežanin Sven Martin Skagestad hicem od 63.21 metra. Marković je prvi hrvatski juniorski prvak (u konkurenciji atletičara) nakon Edisa Elkasevića koji je 2002. godine osvojio zlato u bacanju kugle. Sam Marković je također i bacač kugle. Hrvatska sada ima dvije medalje sa SP-a u Eugeneu budući je još ranije Sara Kolak osvojila srebro u bacanju koplja.